What better treat is there than chocolate? Writer, Dave Barry, spoke for us all when he stated: “Your hand and your mouth agreed many years ago that, as far as chocolate is concerned, there is no need to involve your brain.” Explore Stellenbosch’s decadent treats from handmade chocolate fudge to pairing an organic chocolate with a premier red. There are several tastings in and around some of the best wine estates in Stellenbosch where you can treat your senses to the perfect marriage of two of life’s greatest pleasures. 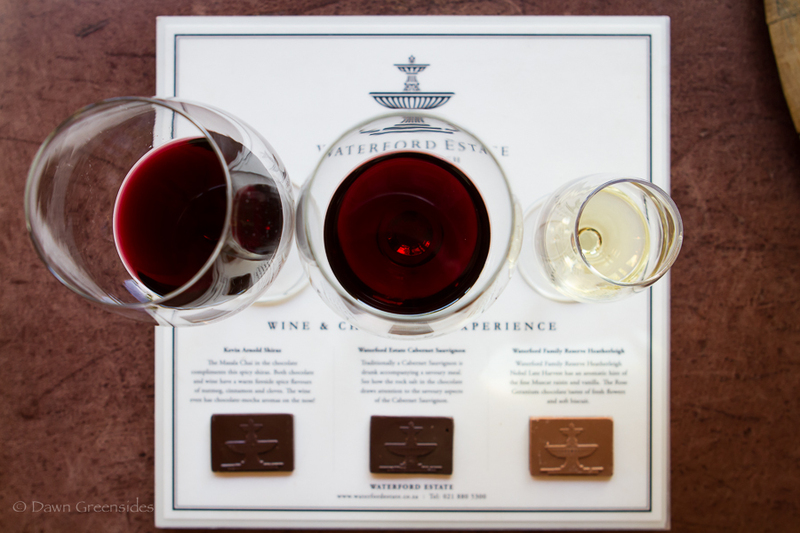 Waterford offers a wide range of six their wines and chocolate tastings from R55 to R200. You will be tasting Von Geusau Fine Chocolates which come in dark and milk and are paired with a range of red and sweet wines from Waterford’s vineyards. There is also a chocolaterie on the estate open seven days a week. One of Waterford tastings include 2 reds and natural sweet wine. 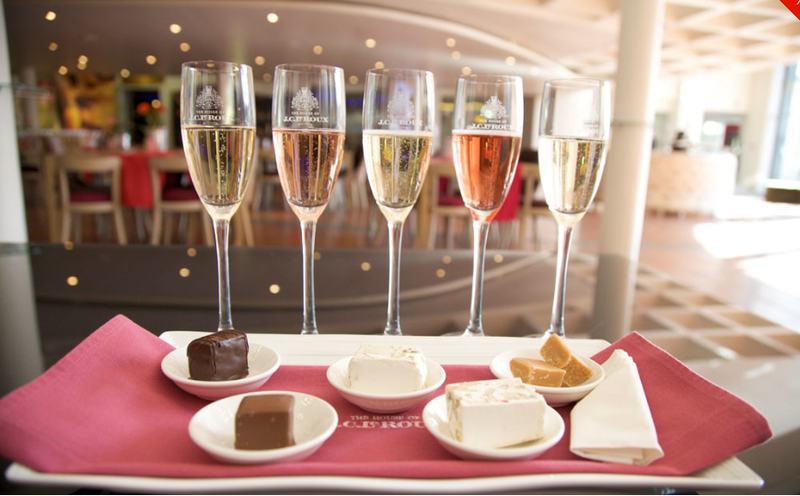 The chocolate and wine pairings at Lourensford are legendary, thanks in part to creating their very own chocolate range to complement their wines. The chocolate and wine pairing consists of red, white and sweet wine and is R65 or you can partake in a Turkish delight pairing instead for R55. 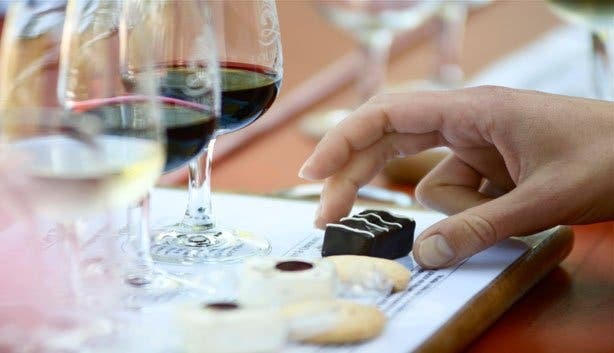 Veering away from wine, Utikyk offers a chocolate and brandy tasting where you can enjoy brandy paired with fruitcake and sumptuous chocolate truffles for only R50. The chocolates are sourced from the famed Huguenot Fine Chocolates in Franschhoek and include vanilla truffle, citrus marzipan and praline milk truffle. For those who don’t enjoy brandy, MCC tastings are available as well at Uitkyk. Stellenbosch markets are renowned for their diversity in items and the high quality of the food, artworks and crafts that are loved by both locals and visitors. We found some palate-pleasing chocolatey goodies to recommend. Along with tasty authentic hotdogs with a German influence, this stall delights visitors by making fresh mini donuts in front of their eyes. Choose from chocolate, white chocolate or caramel chocolate toppings. Homemade, chocolate-based fudge that’s both light and creamy is definitely what dreams are made of. Sweet Dreams ensure no preservative are used and have around 40 different flavours of delicious fudge that they rotate on sale. With flavours like Oreo, cookies and cream and chocolate orange, this is no ordinary fudge maker. Truly Scrumptious is a maker of all the baked goods you enjoyed as a child. You can now recreate that warm, fuzzy feeling with homemade chocolate crunchies, various types of brownies and other chocolatey products to have you smiling like a kid at a birthday party. The market is closed temporarily due to storm damage. However, they will be up and running ASAP. Gourmet donuts are taking over the world with the amazing new toppings available. One Sweet Day is fast becoming the place to get one of these fabulous inventions. Try the chocolate fudge praline or cookies and cream and other incredible flavours. You’ll be in sugary heaven when you taste Sweet Cillie’s chocolate cakes. Along with Oreo cheesecake, peanut butter chocolate brownies and chocolate sprinkle balls, this “cakery” also does cakes and baked goods to order. The feast is on with a variety of freshly baked cakes. 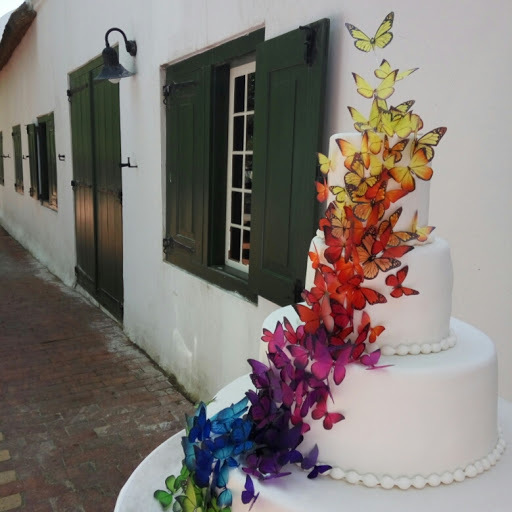 Fulfil your chocolate cravings in Stellenbosch, your tummy will thank you! If you need any assistance with finding bakeries or chocolateries in town, simply ask at the Bonne Esperance reception desk and we will be happy to help.